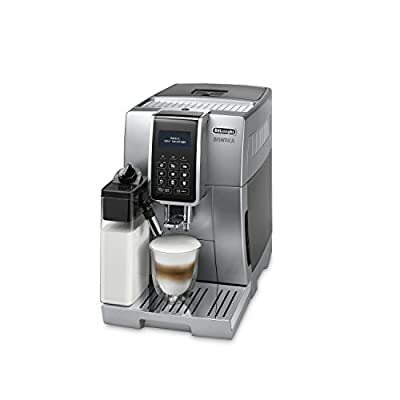 Featuring an easy-to-use touch screen panel, and integrated one-touch functions, the Dinamica with Milk makes it easier than ever to get that perfect barista-standard coffee in your own home. Just press the button and let the machine do all the hard work. 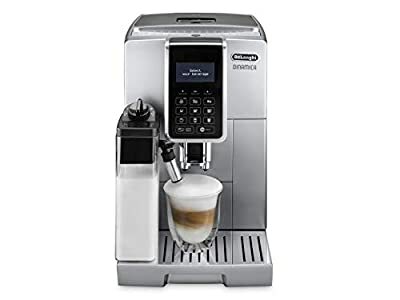 At the touch of a button, the machine automatically warms, froths and textures your milk to the ideal conditions for your drink of choice. The Dinamica uses a powerful 15 bar pressure to give you the best tasting coffee. What's more, De'Longhi's conical metal grinders will extract the maximum flavour and aroma from your beans, ensuring the best possible aroma. And because the mechanism is tubeless, there is less space for old grounds to linger in the system. 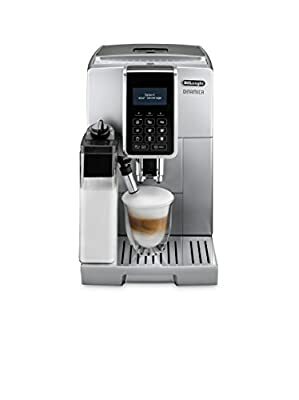 The Delonghi Dinamica Bean-to-Cup Coffee Machine with Milk also includes a dosing spoon for ground coffee, a cleaning brush plus a descaler, a water filter for the reservoir tank and a water hardness testing strip in the instruction booklet - so you can programme the machine to remind you of the optimum intervals for descaling. 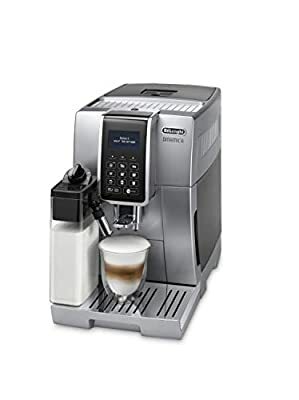 Touch-screen control panel Automatic LatteCrema unit for hot, frothy milk Programmable coffee options for coffee-shop drinks at home Can use ground coffee 23.5 x 43 x 35cm H. Flex 150cm. 1450W.